installing super lightweight air rotor as well as waterproof and durability. anglers who want to have fun of red sea bream game. drive gear. No matter how excellent rotation performance it is, it will be meaningless unless it lasts long. 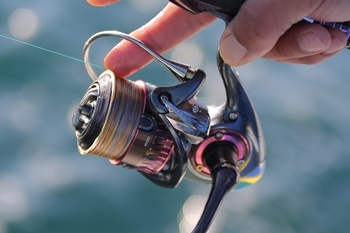 The advantage that the initial performance lasts for a long period of time is that the more you use it in the harsh Saltwater scene for Lille, the longer the longer you hold it, the stronger you will feel. balance is also improved, resulting in good rotation of response. fight decreases and you can concentrate on fighting. Aluminum spool .Lightweight and rigid metal spool. Aluminum machine cut handle High rigidity machine cut handle giving a sense of stable winding up. 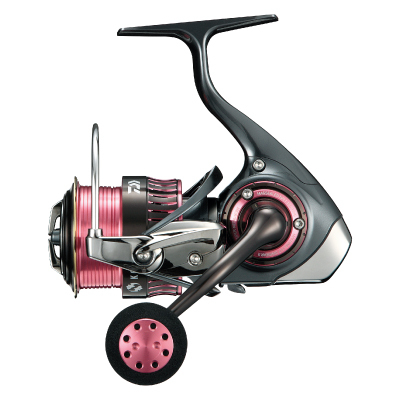 Machine cut Digi gear Daiwa's proprietary digital design technology and ultra-duralumin forging machine cut digi gear by high precision machine cutting process produces a smooth and powerful retrieve feeling. Linear shaft The structure that supports the main shaft and the pinion gear independently eliminates the frictional resistance between them and reduces the power loss to the limit even during winding at high load. resistance during casting. More far distance performance is increasing. flight at the same time. hollow structure, we realized a great increase in strength without changing weight. further improvement of feeling of rotation and reduction of yarn strain. by braking the turn of the rotor at the time of veil opening. one-way clutch inside the body, enabling tight and highly accurate winding up.